I am scrabbling to get ready for a craft fair this Saturday. 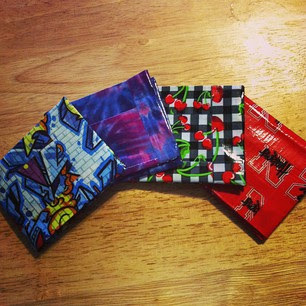 One of items I am making is duct tape wallets. I made these last year and had success. You can find directions here. Very cute idea. Thanks for hosting and for joining me at The Gathering Spot. Have a wonderful week.